Was it a beacon of enlightened sophistication snuffed out by barbaric Dark Age Europeans, or the arena of a clash of eastern and western civilizations? 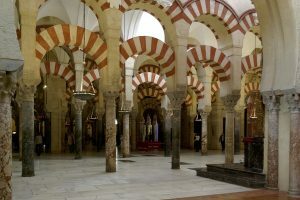 Islamic Spain: was it a paradise of tolerance and religious harmony, or an oppressive and violent authoritarian regime? Was it a beacon of enlightened sophistication snuffed out by barbaric Dark Age Europeans, or the arena of a clash of eastern and western civilizations? Often, it seems like there isn’t much of a middle ground, either in the popular imagination or among historians. 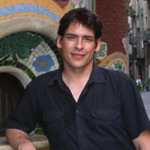 Some years ago, one professor of Romance Literature famously heralded al-Andalus (as the Arabs called Spain) as the home to a “culture of tolerance” and a model for emulation in our own multicultural world; while more recently, another literary scholar decried it bitterly as a land of religious violence, misogyny, and oppression, embodying everything contrary to the values of “the West.” The lesson here is that scholars often find what they set out to look for. Writing history can easily become an act of moral self-affirmation. The history of Islamic Spain began in the year 711, when a small army of Arabs and Berbers conquered the failing and divided Visigothic kingdom of Hispania. Forty-five years later the emirate of al-Andalus, with its capital in Córdoba, was established as independent of the authority of the Abbasid Caliphs in Baghdad. Over the course of the next centuries the majority of the native people gradually and willingly converted to Islam. Christians and Jews lived as dhimmisor “protected peoples” – second class, but legitimate subjects – and those who kept their religion adopted the Arabic language and many social customs. By 926, when the amir ‘Abd al-Rahman III declared himself to be the Caliph of Islam, al-Andalus had become the pre-eminent political, military and economic power in the western Mediterranean. Its navies patrolled the seas around it, ambassadors and envoys went as far afield as northern Germany and Constantinople, and traders crossed the Sahara deep into central Africa. The gold they brought back powered a commercial economy that supported a complex urban society: Córdoba was a “modern” city with street lighting, police, a sewage system, and hundreds of thousands of inhabitants, at a time when London and Paris were little more than collections of grubby wooden shacks. Connected to an Islamic world that reached from the Atlantic to Southeast Asia, al-Andalus became a powerhouse of intellectual, technological, and cultural innovation. The caliphs and amirs valued knowledge of all types, from the study of the Qur’an to the pagan Sciences of the Ancients: philosophy, astrology and astronomy, and medicine. Learning was cultivated both for its practical uses and the prestige that it brought the rulers who sponsored it. Poetry and music were also prized – this was an age in which a clever verse composed for the right patron could catapult a poet out of poverty and obscurity into a lifetime of financial security and prestige. Expansive and confident, Islamic society embraced the world with an openness that provided great opportunities even for Christian and Jewish subjects, who were increasingly viewed not as foreign unbelievers, but as fellow “Andalusis.” Some of these dhimmis reached the pinnacles of power, wealth and influence; and some fell from grace with spectacular brutality. To be sure this was also a world of violence, inequality and great cruelty; of wars of conquest and capture; and in which slavery and sexual violence was ubiquitous. It was a society founded on the notion of the primacy of Islam, in which currents of religious and ethnic tension ran deep. These tensions, mostly between native Spanish Muslims and newly-arrived Berbers, exploded just after the year 1000, bringing down the caliphate in a generation-long civil war. In the aftermath a dozen petty kingdoms emerged, each vying against each other for supremacy, while the tiny Christian kingdoms in the north of Spain battled against each other as they each endeavored to conquer as much of al-Andalus as they could. This so called “Re-conquest” was not so much a struggle between two unified Muslim and Christian Spains, but rather between a whole array of Muslim and Christian kingdoms in Spain and North Africa, who allied with each other against their co-religionists as often as they banded together to fight the infidel. On those occasions they did find common purpose with their co-religionists, they proudly claimed to be waging Crusade or jihad, but inevitably their motivations and goals were immediate and worldly. Through centuries of war and peace, Muslims and Christians lived side by side, eagerly embracing each other’s cultures, even as their religious authorities became increasingly confrontational and aggressive. It was in this era that so much of Islamic science and technology, which was far superior and more sophisticated than that of Catholic Europe, was translated, appropriated and adapted by Christians, thus laying the foundations of the Renaissance and the seeds of the Scientific Revolution. In the end, it would take five hundred years for one of those kingdoms: Castile-León, together with its ally by marriage, the Crown of Aragon, to triumph over nearly all of its adversaries, including the last independent Muslim kingdom in the peninsula, the Sultanate of Granada. But in 1492, when Fernando and Isabel accepted the keys of the Alhambra palace from the vanquished Abu ‘Abd Allah (or “Boabdil”) this did not spell the end of Islam in Spain. By this time hundreds of thousands of Muslims had been living for centuries as subjects of Christian kings in an arrangement that mirrored that of dhimmis in the Islamic world. However, suspicions regarding their political loyalties, fed by the preaching of reactionary clergymen, led to the forced conversion of these Muslims by 1525, and subsequently the proscription of their language and customs. Driven underground and hunted by the Inquisition, these Moriscos turned in desperation to foreign powers for aid: Christian France and the Muslim Ottomans. This provided the excuse for the Spanish crown to order the exile of over 300,000 fellow Christians – the descendants of the Muslims of al-Andalus – between 1609 and 1614, mostly to hostile and unwelcoming Islamic lands. With that act, nine hundred years of Spanish Islam abruptly came to an end. 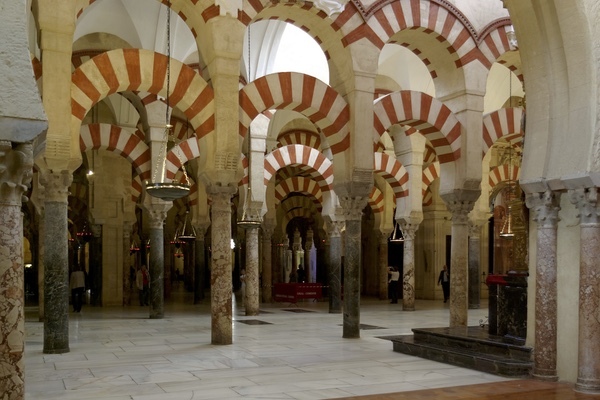 In broad strokes the history of Islamic Spain, and of the Muslims, Christians and Jews who lived there, can be conceived of in religious terms. Everyone identified with and believed in one of these faiths, and the community one belonged to had a direct effect on one’s status and opportunities. There was also certainly a sense of a grand political struggle between Christianity and Islam, and there were theological tensions between all three faiths. But this is only part of the story. Popular religious violence was exceedingly rare, and there were far more years of peace than war. But more to the point, people today are complex, and we were no less so in the Middle Ages. Religion was only one mode of identity; individuals also saw themselves as members of local communities, professions, associations, neighborhoods, linguistic communities, and adherents of cultural, philosophical and intellectual traditions that crossed religious lines. People did not lead their lives as living caricatures of their faith; they also found friendship, community and love through those other affinities they shared. Moreover, their immediate goals as individuals often led them to see co-religionists as competitors and infidels as allies. So, yes, of course, Islamic Spain was a land of violence, cruelty and ethnic and religious bigotry – not so different except in degree from the world we live in today. And perhaps its history does contain some lessons to help us get along better in the present, but they are not found in the nostalgic imitation of a hierarchical caste-based society. What it teaches is that as humans we have a tremendous capacity to get along, despite our differences and our failings. 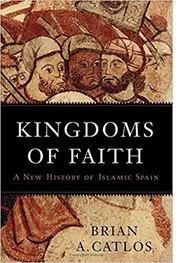 This entry was posted in History, Islam, Medieval, Middle Ages, Religion, Spain. Bookmark the permalink.